← Why car seats, snowsuits, bulky jackets and bunting bags DON’T MIX! I think we can always learn from one another, especially from our youth. One important lesson we can learn from them is the art of giving back. Today’s youth are volunteering more than ever before and more than any other age group. 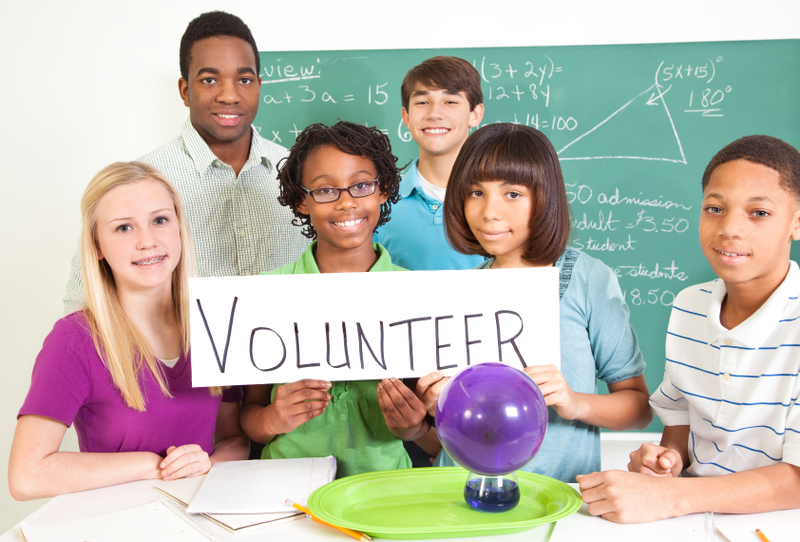 In fact, 58 per cent of Canadians aged 15–24 are involved in volunteering. This puts young people well above the national average of 47 per cent. Giving back and getting involved looks different for everyone. If you don’t have a lot of time, no worries… start small. There are many one-time events you can get involved with. There is no better time to start than during the holiday season. There are many volunteer opportunities you can do as a family, even with young children. I realize I am fortunate to have many good things in my life and, in return, I want to be involved. I want to give back. I want my kids to think of volunteering not as something “extra” but something everyone just does. Giving of ourselves makes us a community. I remember my dad going out late at night to water the local outdoor skating rink because it was going to be a very cold night. “Good for freezing!” he would say. He would also dress warmly after snowfalls to help shovel the ice so that kids & families had a place to hang out and skate for free. I have great memories of that rink. It’s where I hung out most nights skating with my friends. We would all huddle in the “shack” afterwards for hot chocolate… teens, kids, adults… everyone. I was surrounded by a sense of community and I want that for my kids. I never really gave it too much thought when I was young, but I know I get involved now because I saw my parents do it. So as much as I’m so proud of our youth for being at the forefront of giving. I challenge families to start earlier and make it a part of your life – not an add on. The benefits are priceless! This entry was posted in Children & Tweens, Emotional Well-Being & Mental Health for Your Child/Tween, Emotional Well-Being & Mental Health for Your Teen, Parenting, Parenting Your Child/Tween, Parenting Your Teen, Teens and tagged community, developmental assets, family, giving back, Holidays, Mental Health, pay it forward, Services, volunteer, volunteering, volunteering as a family. Bookmark the permalink. 4 Responses to Lessons learned from our youth about volunteering. Reblogged this on One World, One Heart. I like your point that “giving of ourselves makes a community”. For all my volunteer work, I’ve never put it so well. Very good. Thank you for reading my blog and for your comment. I feel passionate about this and it sounds like you do too. Thanks!